This is a great little knife for leather craft. Nice and steady in your hand for controllable cuts every time. 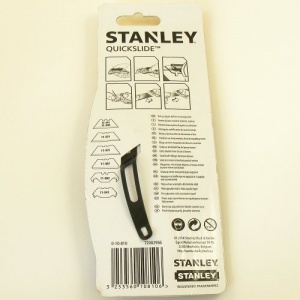 It has a retractable blade for safe storage. This knife also features a sprung metal belt clip, which can be removed if you prefer. 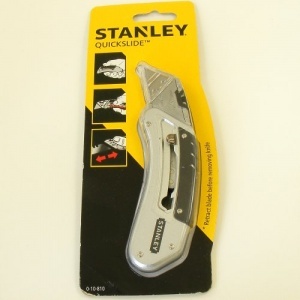 This Stanley brand knife takes standard utility blades of any brand. As soon as you notice resistance when cutting, it's time to change your blade. 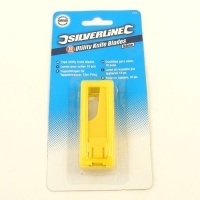 Utility blades have a fresh edge on either end so they're very economical to use.